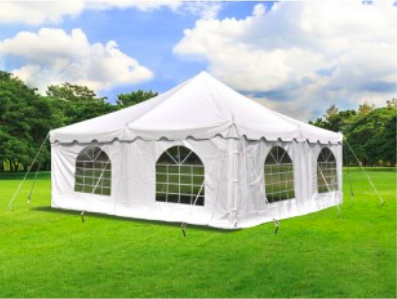 Provide some shade for your guests to eat and relax with our 20' x 20' tent with sidewalls. They will appreciate the protection from wind and other elements with the sidewalls to make for a truly inviting entertaining space. Rent this along with our tables and chairs to provide sit down space for up to 32 guests.